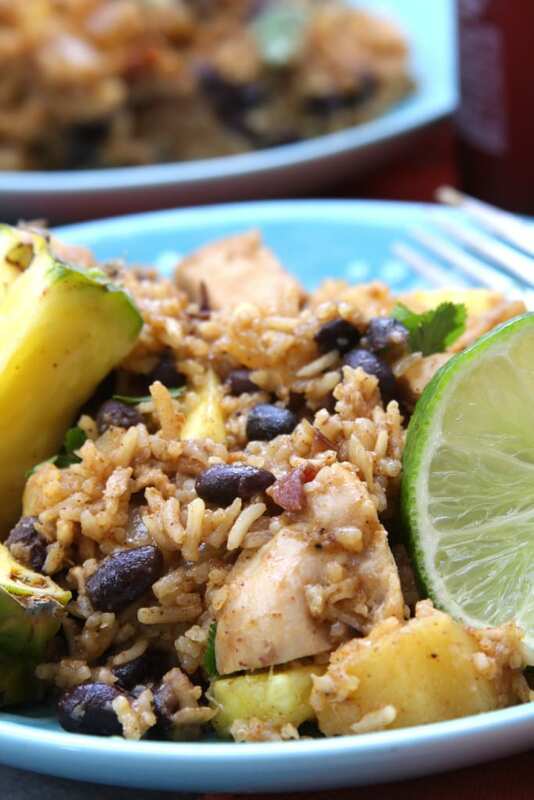 You will be transported on a tropical vacation with this ever so easy and flavorful Caribbean Chicken & Rice. Sweet pineapple, savory bacon, satisfying black beans and the spices of Caribbean makes this a perfect meal anytime of the year. My husband has entered his busy season with work and that means he will be away traveling for quite awhile. We were blessed in that he was able to come home this last week. In my usual fashion I had grand plans of making a bunch of different home cooked meals to spoil him. 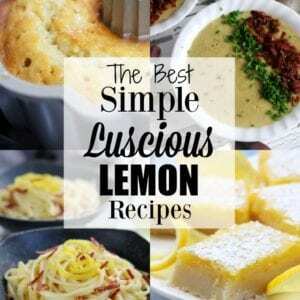 Home cooking is an absolute treat for him during his busy season and it is one of the ways I can shower him with love. As usual, I was able to accomplish half of what I set out to cook for him. I am always reminded of the anonymous quote, “Most people overestimate what they can do in a day and underestimate what they can do in a lifetime.” This quote helps me to put perspective on not beating myself up when I can’t get everything checked off my list everyday and reminds me not to talk myself out of my bigger life goals. Of the meals I was able to cook for Paul, this Caribbean Chicken & Rice was at the top of his favorites last week. He loved the combination of sweet, spicy and savory. 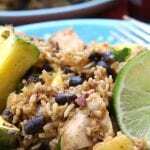 I absolutely love the spices for this Caribbean Chicken & Rice. The pungent and fragrant allspice, nutmeg and cinnamon with the heat of cayenne is absolutely tantalizing for the senses. 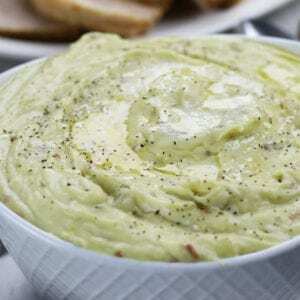 Add in the crispy bacon and you can guarantee the heavenly aromas will beckon your family to the dinner table. While chicken is baking, prep other ingredients and fry the bacon. At around the 20 min mark of the chicken, start prepping the onions, garlic, rice etc. The timing of the chicken should coincide beautifully with the timing of the rice. 1/4 tsp of cayenne will produce a mild heat, 1/2 tsp is a medium heat and a full tsp will be a hot heat. 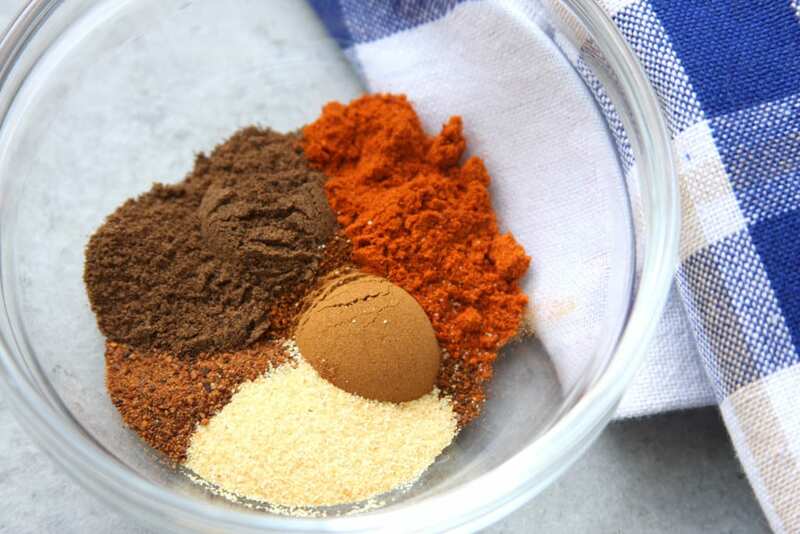 If you and your family are not huge fans of Caribbean spices omit the cinnamon, nutmeg, allspice and cayenne. The dish will still taste wonderful but will have more of a Spanish twist. Two of my favorite dutch ovens to use for this Caribbean Chicken & Rice is either Lodge’s Cast Iron Dutch Oven or Lodge’s Enameled Dutch Oven. If using brown rice, an additional 1/2 cup of chicken broth may be needed and can be added at the halfway point. 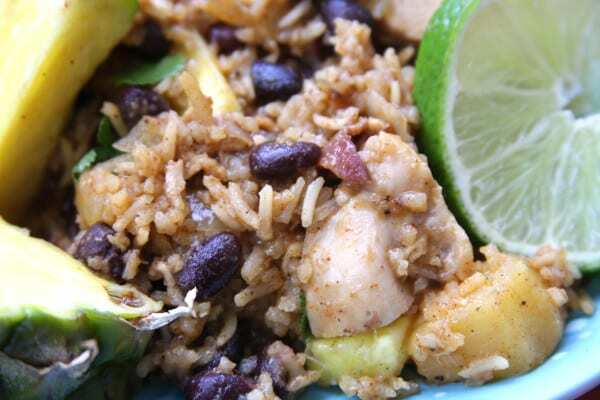 This Caribbean Chicken & Rice is an easy dish to make with the beautifully complex flavors of the Caribbean. 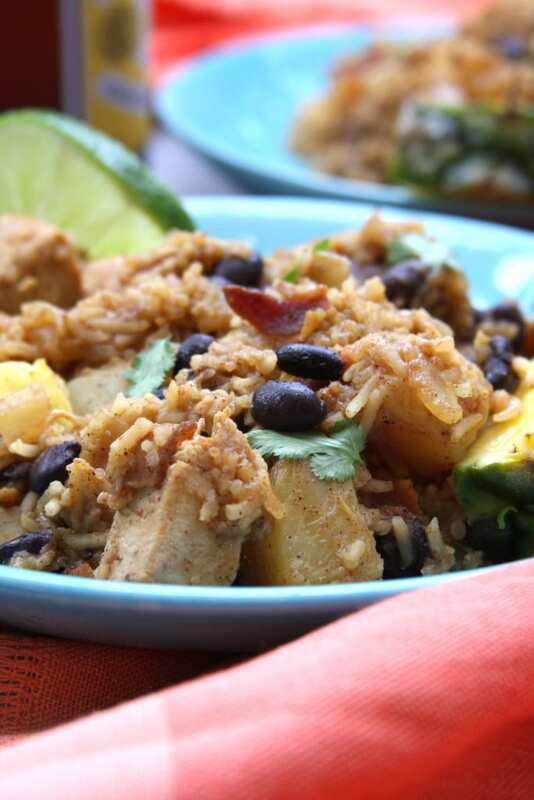 A Caribbean style chicken & rice dish with black beans, pineapple and fragrant spices. Place chicken in baking pan, drizzle with olive oil and sprinkle with salt. 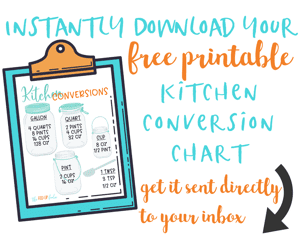 Bake at 350℉ for 30 mins or until reaches internal temperature of 165℉. Let cool for about 10 mins and then dice into 3/4" cubes. While chicken is baking cut bacon into strips and sauté in dutch oven over med/high heat until browned-about 7-8 mins. 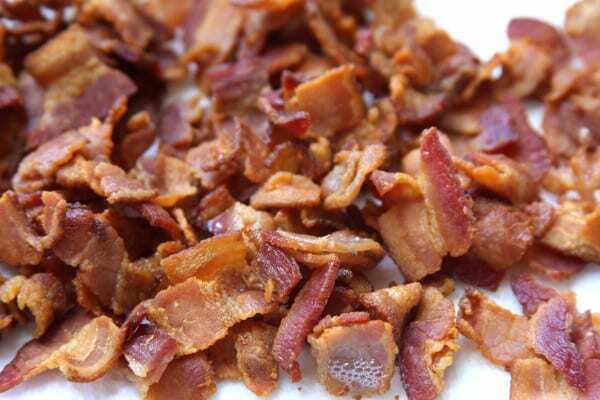 Remove bacon onto plate lined with a paper towel to absorb extra grease. Drain pan of all but 2 tbsp bacon grease for sautéing onions. Place pan back onto medium heat. Sauté onion until translucent- about 4-5 mins. Add fresh garlic, sauté until fragrant-about 2 mins. Add rice & spices, stirring frequently until rice is slightly toasted, about 2 mins. Add pineapple, broth and lime juice . Raise heat to high until boiling, cover and then lower heat to med/low. Cook until rice is tender and has absorbed liquid- about 20 mins, making sure to stir halfway through cooking. Add diced chicken, beans and bacon, stir well. Turn off heat and cover with lid. Let rest for 10 mins. 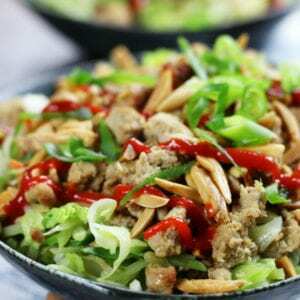 Garnish with chopped cilantro and enjoy! If using brown rice a 1/2 cup extra broth may be needed. Half all quantities if making Dinner for 2. Recipe inspired by my brother Tommy.